How Will the New Road Tax Rules Impact Van Drivers? Starting April 1 2017, the taxing system for new cars in the UK will change. Many drivers looking to buy a new car will observe that they are going to pay more than they expect to. The new system of Vehicle Excise Duty (VED) is expected to lead to an easier, more streamlined system. However, many low-emission vehicles will also be subject to the tax even if they are already insured. Back in 2015, the chancellor then, George Osborne announced that new VED changes will mean many car model owners will pay higher road taxes. Now it’s only a few months to April, we have decided to refresh the topic for van owner’s who’ll like to know how it affects them. With 49% of vans failing their MOT, you should read up to make sure you know what you have to be paying, and when. Right now, VED is minimal or zero for many low-emission vehicles including cars that run on petrol or diesel. However, as new model cars are being designed to be environmentally friendly, the proceeds of the Treasury VED have significantly reduced, with fewer car owners liable to tax. The changes have been made to include formerly exempt vehicles but will only apply to new vehicle buyers. So if your van is currently exempt from VED, you won’t be expected to pay until you sell it and buy a new one. Presently, all cars from band A (C02 emissions up to 100g/km) to D (up to 130g/km) are exempt from VED in the first year. As from April 1, band A vehicles will keep being tax-free, but band B vehicle owners will start paying £20 a year, band C will pay £30 and band D owners will pay £110. 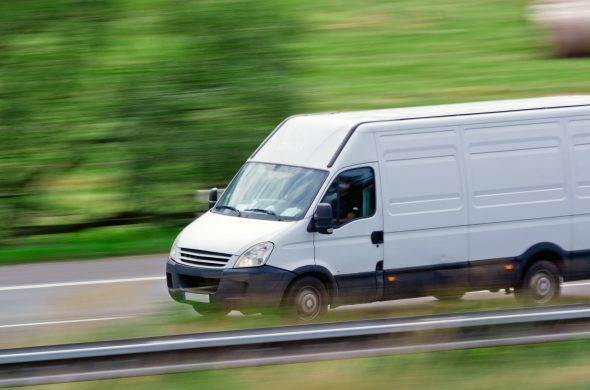 If your van has a higher emission, you’ll be required to pay between £130 and £505 a year. But some vans may attract a high first-year charge of up to £1,100. This means from April, only vehicles with zero emissions- specifically electric cars will not pay VED in the first and succeeding years. Other cars will be required to pay VED according to their emission rates. For instance, a van emitting between 1g and 50g/km of C02 will pay £10, but those producing over 255g will be pay £2,000. Similarly, as from April, people buying high-value vehicles will pay an extra fee; for the first 5 years, an extra charge of £310 will be placed on cars costing £40,000 or more. If your van falls into any of these bands or categories, you should note the charge won’t take effect until you intend to buy a new one. Beginning from the year 2020, the money collected from the VED will be separated and put into a special Roads Fund for investment in British highways and main roads.